Definition at line 24 of file test000092.h. Definition at line 38 of file test000092.cpp. Definition at line 46 of file test000092.cpp. Definition at line 51 of file test000092.cpp. References CCopasiDataModel::exportSBMLToString(), CCopasiDataModel::getModel(), CCopasiDataModel::importSBMLFromString(), load_cps_model_from_stream(), MODEL_STRING1, and pCOPASIDATAMODEL. Definition at line 232 of file test000092.cpp. References CCopasiDataModel::exportSBMLToString(), CCopasiDataModel::getModel(), CCopasiDataModel::importSBMLFromString(), load_cps_model_from_stream(), MODEL_STRING2, and pCOPASIDATAMODEL. Definition at line 426 of file test000092.cpp. References CCopasiDataModel::exportSBMLToString(), CCopasiDataModel::getModel(), CCopasiDataModel::importSBMLFromString(), load_cps_model_from_stream(), MODEL_STRING3, and pCOPASIDATAMODEL. Definition at line 481 of file test000092.cpp. References CCopasiDataModel::exportSBMLToString(), CCopasiDataModel::getModel(), CCopasiDataModel::importSBMLFromString(), load_cps_model_from_stream(), MODEL_STRING4, and pCOPASIDATAMODEL. Definition at line 667 of file test000092.cpp. References CCopasiDataModel::exportSBMLToString(), CCopasiDataModel::getModel(), CCopasiDataModel::importSBMLFromString(), load_cps_model_from_stream(), MODEL_STRING5, and pCOPASIDATAMODEL. Definition at line 862 of file test000092.cpp. References CCopasiDataModel::exportSBMLToString(), CCopasiDataModel::getModel(), CCopasiDataModel::importSBMLFromString(), load_cps_model_from_stream(), MODEL_STRING6, and pCOPASIDATAMODEL. Definition at line 916 of file test000092.cpp. References CCopasiDataModel::exportSBMLToString(), CModel::getCompartments(), CCopasiDataModel::getCurrentSBMLDocument(), CModel::getKey(), CCopasiDataModel::getModel(), CCopasiDataModel::importSBMLFromString(), MODEL_STRING7, pCOPASIDATAMODEL, CRDFGraphConverter::SBML2Copasi(), CAnnotation::setMiriamAnnotation(), and CCopasiVector< T >::size(). Definition at line 1148 of file test000092.cpp. 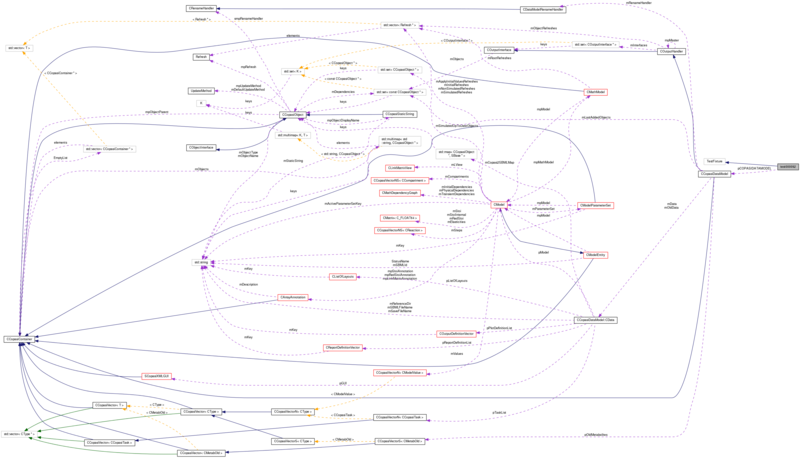 References CCopasiDataModel::exportSBMLToString(), CModel::getCompartments(), CModification::getDate(), CBiologicalDescription::getId(), CModel::getKey(), CAnnotation::getMiriamAnnotation(), CCopasiDataModel::getModel(), CBiologicalDescription::getPredicate(), CBiologicalDescription::getResource(), CCopasiDataModel::importSBMLFromString(), CMIRIAMInfo::load(), MODEL_STRING8, pCOPASIDATAMODEL, CBiologicalDescription::setId(), CBiologicalDescription::setPredicate(), CBiologicalDescription::setResource(), and CCopasiVector< T >::size(). Definition at line 1461 of file test000092.cpp. References CCopasiDataModel::exportSBMLToString(), CModel::getCompartments(), CModification::getDate(), CBiologicalDescription::getId(), CModel::getKey(), CAnnotation::getMiriamAnnotation(), CCopasiDataModel::getModel(), CBiologicalDescription::getPredicate(), CBiologicalDescription::getResource(), CCopasiDataModel::importSBMLFromString(), CMIRIAMInfo::load(), MODEL_STRING9, pCOPASIDATAMODEL, CBiologicalDescription::setId(), CBiologicalDescription::setPredicate(), CBiologicalDescription::setResource(), and CCopasiVector< T >::size(). This test will most likely fail until we have a workaround for the SBML one modification limit. Definition at line 1776 of file test000092.cpp. References CModification::getDate(), CModel::getKey(), CAnnotation::getMiriamAnnotation(), CCopasiDataModel::getModel(), CCopasiDataModel::importSBMLFromString(), CMIRIAMInfo::load(), MODEL_STRING10, pCOPASIDATAMODEL, and CCopasiVector< T >::size(). This model has complete MIRIAM compliant annotation, so of of it should be exported by libsbml and in addition to that as annotation in the COPASI namespace. Definition at line 40 of file test000092.h. Definition at line 49 of file test000092.h. In this model the Model history is incomplete because there is no creator and no modified date so libsbml 4 will no longer write the model history. Nevertheless the annotation should be written in the COPASI namespace. Definition at line 41 of file test000092.h. "<!-- generated with COPASI 4.5.31 (Debug) (http://www.copasi.org) at 2010-04-21 14:00:12 UTC -->\n"
"<COPASI xmlns=\"http://www.copasi.org/static/schema\" versionMajor=\"1\" versionMinor=\"0\" versionDevel=\"31\">\n"
" <Model key=\"Model_0\" name=\"New Model\" simulationType=\"time\" timeUnit=\"s\" volumeUnit=\"ml\" areaUnit=\"m²\" lengthUnit=\"m\" quantityUnit=\"mmol\" type=\"deterministic\">\n"
" <Compartment key=\"Compartment_0\" name=\"Compartment\" simulationType=\"fixed\" dimensionality=\"3\"/>\n"
In this model the Model there is no MIRIAM annotation. There should be no annotation in the exported SBML model. Definition at line 42 of file test000092.h. Definition at line 43 of file test000092.h. Definition at line 44 of file test000092.h. Definition at line 45 of file test000092.h.
" <model metaid=\"COPASI1\" id=\"Model_1\" name=\"New Model\">\n"
" <compartment metaid=\"COPASI2\" id=\"compartment_1\" name=\"Compartment\" size=\"1\">\n"
This SBML model already contains an annotation. We load it and add some MIRIAM annotation and write it out again to check if MIRIAM annotation is correctly written even if another annotation exists. Definition at line 46 of file test000092.h. Definition at line 47 of file test000092.h. This SBML model already contains RDF annotation and other annotation. It also contains COPASI RDF annotation. We load it and modify the MIRIAM annotation and write it out again to check if MIRIAM annotation is correctly updated and COPASI annotation is correctly replaced. Definition at line 48 of file test000092.h. Definition at line 50 of file test000092.h. Referenced by setUp(), test_miriam_export_1(), test_miriam_export_2(), test_miriam_export_3(), test_miriam_export_4(), test_miriam_export_5(), test_miriam_export_6(), test_miriam_export_7(), test_miriam_export_8(), test_miriam_export_9(), and test_miriam_import_1().